January 1st, 2011 (KATAKAMI / THE SYDNEY MORNING HERALD) — IN THEIR new year messages the Prime Minister, Julia Gillard, and the Opposition Leader, Tony Abbott, have voiced optimism for the year, and have reminded voters of their differences. 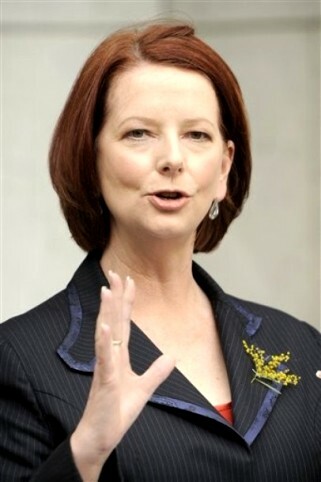 ”As I look forward to 2011, I do see some challenges for our country,” Ms Gillard said. Mr Abbott said: ”We should be optimistic about our future as long as we don’t forget those among us who are doing it tough. 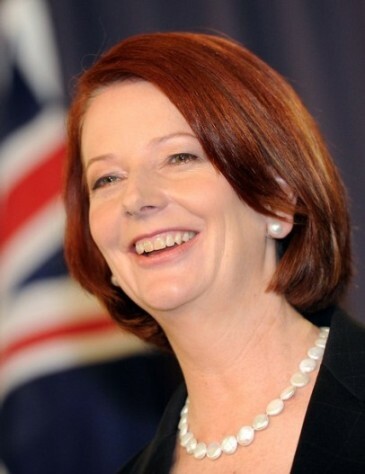 Exhorting the population to work hard to keep Australia a ”lucky” country, Ms Gillard said Australians should look forward to a future as a fair and prosperous nation. Mr Abbott promised he would do his best to protect Australian families from added burdens on their cost of living. SYDNEY (KATAKAMI / AFP) – Hope dwindled for survivors of a refugee boat wreck off Australia Thursday which killed at least 28 people, including seven children, renewing debate on the plight of boat people travelling from Asia. The wooden craft, crowded with up to 100 Iraqi, Kurdish and Iranian asylum seekers and their children, hit rocks at remote Christmas Island Wednesday and was shattered by huge waves as residents watched in horror. Traumatised survivors pulled from the sea after the disaster huddled in a hospital and reception centre Thursday, with the most seriously injured flown to Perth as hope faded of finding their fellow passengers alive in wild seas. “We have got to prepare ourselves for the likelihood that more bodies will be found and there has been further loss of life than we know now,” warned Prime Minister Julia Gillard, who cut short her holiday to respond to the emergency. Cyclonic conditions hampered search and rescue efforts which resumed at first light but yielded no further bodies or survivors by late Thursday, Customs said. Home Affairs Minister Brendan O’Connor said 28 bodies had been recovered, including four infants, three children and nine women, underscoring “the tragedy that’s occurred here”. Among the 42 survivors were eight children, one unaccompanied minor and three Indonesian crew, he added. Immigration Minister Chris Bowen earlier said there had been between 70 and 100 people on board the leaky fishing boat, according to survivors, adding that the exact number of dead would “probably never” be known. Medical personnel believe as many as 50 people may have perished on the jagged limestone outcrop, some 2,600 kilometres from Australia’s mainland. 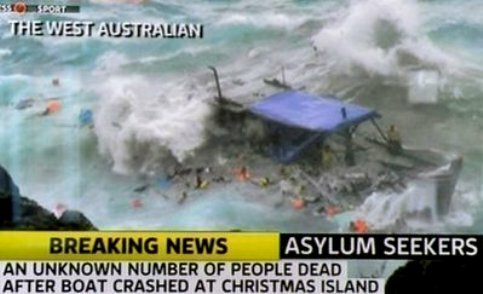 “Yesterday we saw a truly horrific event, a terrible human tragedy on what is a very dangerous coastline at Christmas Island,” said Gillard. 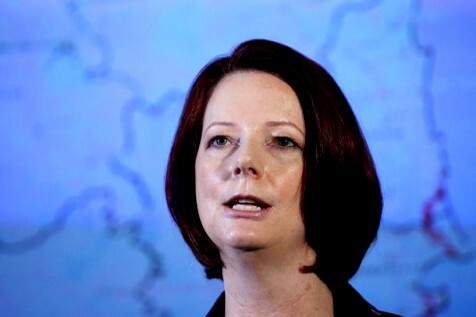 Gillard was forced to defend border police as questions mounted about how the boat managed to cross the most closely-watched people-smuggling corridor between Indonesia and Australia without being intercepted. The prime minister said the boat had approached the island in predawn darkness and “extreme weather conditions” meant it was not detected “until seen from Christmas Island itself”. “In very rough and dangerous seas there is a limit to what can be achieved through radar and other surveillance mechanisms,” Gillard said, adding there would be a criminal investigation as well as a coroner’s probe. Officials could not comment on the vessel’s origin and said it was not being tracked because it was made of wood and was hard to detect. Local police said they had received an emergency call from someone claiming to be on a boat with about 80 people — believed to be the stricken vessel — about 20 minutes after it was first sighted as it drifted after losing power. Residents said they were woken at dawn Wednesday by the screams of victims, gathering life jackets and rushing to the cliffs to offer help, but were helpless as strong winds blew the flotation devices back onshore. They watched in horror as the victims were crushed against limestone rocks, despite the efforts of navy rescuers to reach them in towering swells. More than 5,000 asylum seekers from Iraq, Afghanistan and Sri Lanka have made their way to Australia this year, mostly on unseaworthy vessels from Indonesia, prompting criticism of Canberra for softening its refugee policy. But lawyers and refugee advocates including Amnesty and the UNHCR said the tragedy highlighted the desperate plight of refugees and urged greater cooperation between nations for more humane solutions. Survivors of the wreck were recovering Thursday in a hospital and a reception centre on Christmas Island, the site of Australia’s main immigration detention centre for boat people. 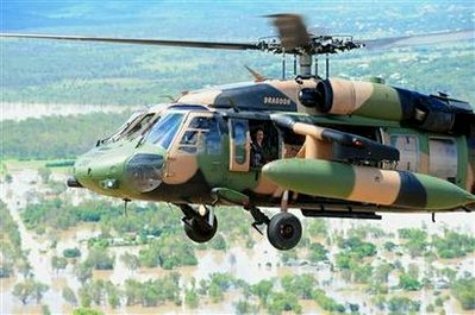 Five seriously injured people were flown to the mainland for medical treatment. Though they would be dealt with under normal immigration processes, Gillard said survivors would be given time to recover from their ordeal, and said the children and families would be allowed to live in the community instead of detention camps.